In addition to praising the authors' device, Jinyue Jiang, an expert in optoelectronic materials at the University of Nebraska, US, is impressed by their new deposition technique. 'The beauty of this technique lies in its potential for large scale production and its ability to control the location of graphene - [depositing] graphene thin films on various substrates,' he says. However, Jang concedes that more work needs to be done to improve sound quality and reduce prices before commercialisation is possible. As such, they are now looking to improve bass response by modifying the PVDF film. US scientists have synthesised by a new route a key intermediate for the production of synthetic analogues of natural antibiotic tetracyclines that could be used as potential new drugs to combat the growing ranks of antibiotic resistant bacteria. Andrew Myers and coworkers from Harvard University, Massachusetts, have developed a scalable five step route to an enone intermediate, which can be converted to a range of tetracyclines in three steps. The products are also crystalline at many stages, so there's no need for purification by chromatography. Myers can now make tetracyclines with modifications all around the structure's periphery and even in the interior portion. The reaction that transforms the enone into thousands of antibiotics is a Michael-Claisen cyclisation on the left side of the enone, he explains. But it's also possible to use a similar transformation to modify the right side. 'Because we've got a de novo construction of the enone, we can modify portions of the enone and greatly expand the number of new tetracyclines we can make. In fact, if you think about it, you realise it's a multiplicative expansion because the expansions on the right side can be coupled with those on the left,' explains Myers . Over the past 15 years, close to 3000 fully synthetic tetracyclines have been prepared using Myers' route, the majority of these at Tetraphase Pharmaceuticals, of which he is the principal scientific founder. One of the compounds is about to enter phase II clinical trials for intraabdominal infections. Could life have emerged inside inorganic shells? The basic components of cells can operate within the bounds of inorganic membranes made from nanoparticles, a new study shows. The authors say such membranes provide an alternative model for explaining how the first cells evolved from simple, inorganic molecules. Chemists created silicon-based membranes with hydrophilic and hydrophobic properties akin to those of lipid bilayers in natural cells. 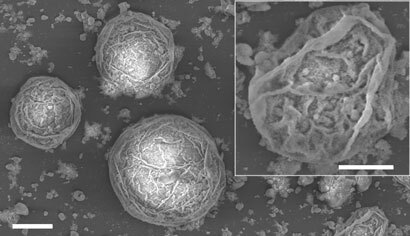 Nanoparticles self-assembled in oil to form 'protocells', enclosing drops of water inside porous silicon shells. 'What was really interesting was that not only could we stabilise the droplets - which had been shown before - but that the nanoparticle-based shell could be considered as a primitive, semi-permeable inorganic membrane,' says Stephen Mann, one of the researchers based at the University of Bristol, UK. To produce the desired water-loving/hating membrane, the researchers functionalised the surface of hydrophilic silica nanoparticles with silanol and dimethylsilane groups. 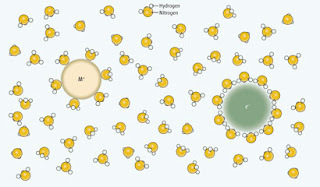 Shaking the nanoparticles in oil and water made them pack together at the oil-water interface. According to Mann, the approach is simpler than chemical syntheses required to make artificial phospholipids, which are often used in artificial cell membranes. One of the key requirements for synthetic protocells is permeability - something that's proved difficult to perfect with lipids. In this respect, says Pasquale Stano, a synthetic biologist at the Roma Tre University in Rome, Italy, the new inorganic membranes offer an advantage. 'You can add material in the oil and it will slowly go through the interface formed by these silica particles,' he says. The researchers also show that their protocells can host functioning DNA, protein-making machinery and enzymes, and achieve impressive turnover rates for enzyme-catalysed reactions taking place in the pores. Primitive cells would have had to function in water, so the researchers also show that their protocells can be transferred into water from oil. 'It's a little bit tricky,' says Stano. 'But as a principle, the procedure they propose is good.' However, he thinks many people will disagree with Mann's origin of life scenario. Scientists have uncovered a biochemical pathway that enables a remarkable marine alga to rapidly heal itself after it has been wounded. The work could provide clues about how to make new synthetic adhesives that work under water. 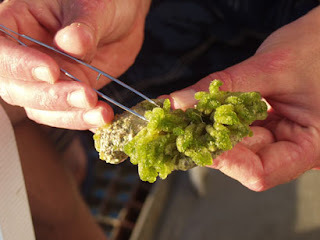 Dasycladus vermicularis is a green alga found in warm tropical waters. Intriguingly, it is unicellular - the entire organism, which can be more than 2cm long, is a single cell. This makes it especially vulnerable to external damage, with the danger that much of its contents would leak out. To avoid this, the organism has evolved a way of rapidly plugging any breach with a tough biopolymer consisting of cross-linked protein and carbohydrate molecules. Within seconds of any damage the wound starts sealing, and within minutes it is completely healed. 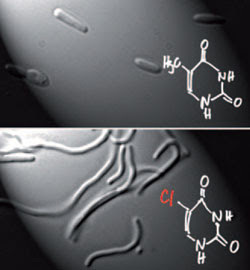 To understand the biochemical basis of this speedy response, Matthew Welling and Georg Pohnert of Friedrich Schiller University Jena in Germany, and Cliff Ross of the University of North Florida in the US, made a detailed analysis of the metabolites present in both intact and damaged D. vermicularis cells. In intact cells, the team found the compound 6,7-dihydroxycoumarin-3-sulfate, a stable hydroxylated and sulfated derivative of the benzopyrone coumarin. Hydroxycoumarins are known to participate in cross-linking reactions in biological systems. After damaging the cell, hydrogen peroxide was detected, in addition to the much less stable 3,6,7-trihydroxycoumarin - which had not been present before the damage. The team concluded that, upon damage of the cell, sulfatase enzymes are released, and these cleave the sulfate group from the sulfated hydroxycoumarin. This yields 3,6,7-trihydroxycoumarin. This is then oxidised by an oxidase enzyme, with hydrogen peroxide as the substrate. The oxidation of the trihydroxycoumarin produces an oxygen radical on the molecule which then reacts with proteins or carbohydrate molecules in the vicinity. 'Cross-linking can occur when an amino-bearing or sulphydryl-bearing moiety binds to the coumarin at one site. Another amino or sulphydryl group can bind in at another site. Now you have created a link in the chain connecting two proteins or carbohydrates,' says Ross. Three months after Japan's Fukushima Nuclear Plant crisis drew worldwide attention talks have begun on the future of nuclear power in China. 'China has the world's largest number of reactors being constructed, and there is every reason to carefully evaluate issues from safety to economics,' said Stephan Thomas, a professor of energy policy at the UK-based Greenwich University, talking at a Beijing based seminar to discuss nuclear developments. For the first time, different sides of the nuclear development debate are openly discussing the issue in China, after the Fukushima crisis prompted China to suspend the approval of all new reactors whilst working out a national nuclear safety strategy. China has 13 operating nuclear power reactors, with another 20 currently under construction - more than the total number of reactors being constructed elsewhere in the world - and by 2020 Chinese nuclear power capacity will reach 80 million kilowatts, meaning that nuclear power will contribute seven per cent of China's total power supply within 10 years. Jiang Kejun, a senior research fellow at the Energy Research Institute of the National Development and Reform Commission, estimates that by 2050, China's nuclear power capacity could reach 400 to 500 million kilowatts if the country insists on a low-carbon development scenario. 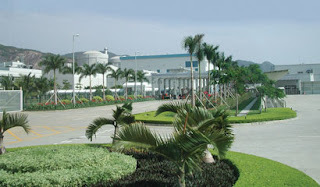 Mi Sen, director of the Shanghai office of China National Nuclear Engineering Corp, which builds most of the nation's nuclear reactors, says that China's nuclear reactor costs should be much lower than Thomas has estimated, as localisation of foreign technologies has brought down costs dramatically. But He Zuoxiu, a nuclear physicist and member of the Chinese Academy of Sciences (CAS), said that these relatively lower costs do not consider the money used to process and preserve nuclear waste, and so far there are no final solutions for this worldwide. 'The 9-magnitude earthquake and the subsequent tsunami are accidental crises, but shouldn't our nuclear plants be equipped to defend against higher degrees of earthquake? If so, who should bear the increased costs?' he asked. He also worries that China's lack of uranium mine resources could impede the nation's nuclear power plans. Yet Timothy Stone, chairman of the Global Infrastructure and Projects group of international financing giant KPMG, told Chinese media last week that the uranium supplies problem can be easily solved through a mature international supply chain. Stone added that the shock of the Fukushima accident could lower the price of nuclear equipment and raw material resources - in a sense, being 'helpful' to nations like China and the United Kingdom where nuclear energies seem to be inevitable. In June, Germany announced that it will give up nuclear power by 2022. This was followed by Switzerland's plan to be nuclear-free by 2034 and opposition in Italy to the government's move to resume development of nuclear power. Mi admits that compared with the decade-long public debates in other countries, the Chinese nuclear industry has not done enough to engage the public. Many Chinese officials and experts worry that the public discussions on nuclear power will mislead both the public and policymakers. But Fleischer says that the German experience shows that during the debates, the public has been educated and informed, which helped policymakers make more rational decisions. Among the discussions raised in late June, there were also calls for China to pass a law on nuclear safety and set up an independent nuclear regulatory agency. Currently, the Ministry of Environmental Protection works as the nation's Nuclear Safety Bureau, but its regulations have been criticised as being defocused. In China, all sides taking part in the recent discussions agree that public participation at all levels must be improved. Mi also says that better participation could help the industry identify previously unnoticed problems. 'Even though it could cause some delays, it would give our industry more time to develop the talent to meet the fast industrial development,' he adds. In deciding to shut down the Forensic Science Service (FSS), the UK government gave insufficient consideration to the impact on forensic science R&D, according to an independent government report. In December 2010, the UK government said it would 'support the wind down' of the FSS, a government owned company that provides services to police forces and other organisations, by March 2012. The government cited operating losses of £2 million per month and a predicted decrease in the size of the market for forensic services. But the Science and Technology Committee report says this decision was based on too little evidence. It recommends that the government extend the deadline by at least six months to ensure smooth transition of work to the private sector. The FSS currently represents 60 per cent of the UK market for forensic services. The report also recommends that the government create a new national research budget for forensic science, describing forensic science in the UK as 'not healthy'. The FSS typically spends £4 million per year on R&D. LGC Forensics, the largest private forensic science company in the UK, representing 20 per cent of the UK market, told the committee it spends 5-10 per cent of sales on R&D. But the committee concluded that it is 'probably unreasonable' to expect private companies to increase investment in forensic science R&D, particularly fundamental work. Meanwhile, it heard evidence from academics, including Jim Fraser at the University of Strathclyde and Alec Jeffreys at the University of Leicester, who lamented the poor status of the area. Indeed, Research Councils UK (RCUK) told the committee that research councils 'do not currently support forensic science research as a strategic priority'. Fraser said that 'the word "forensic" is mentioned in the last five annual reports of RCUK on two occasions, and there is virtually no funding'. Jeffreys said for some academics, research had to be 'paid for on the back of casework income'. The committee considered the option of keeping the FSS with a reduced mandate covering R&D, training, quality standards and the maintenance of forensic archives. But it was 'not convinced that the separation of research and service provision would be the ideal outcome for the FSS'. The Chief Scientific Adviser to the Home Office, Bernard Silverman, was singled out for especially stern criticism. The report described his 'satisfaction' with being excluded from the decision-making process and failure to challenge the result as 'unacceptable'. Committee chair Andrew Miller MP said that this 'raises questions about his effectiveness in the Home Office'. The report also cited an 'ongoing weak scientific culture' at the Home Office. 'We now call on the government to stabilise the market, curbing police in-sourcing, and come up with a sensible strategy for forensic science research and provision in England and Wales,' said Miller. The FSS employs 1300 scientists. An online petition to halt the closure has accrued 27,500 signatures since its creation in January. 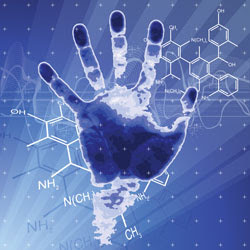 The RSC supported the proposed extension of the deadline and the call for a research budget for forensic science. 'As more work is done in-house, there is a real risk that, under the pressure of police funding cuts, lower quality analytical work in unaccredited facilities could lead to unsafe prosecutions and an unacceptable erosion of public trust in forensic evidence,' said Robert Parker, RSC chief executive. Concrete is heavy, tough and - you might think - a reliable insulator. 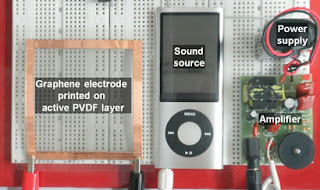 But researchers in Japan have shown that, by doping it with free electrons, liquid cement can transform into a substance with metal-like electrical conductivity. According to the researchers, the surprising transition could lead to new types of semiconductor. It has been known since the beginning of the nineteenth century that free electrons can be trapped in polar solvents such as water and ammonia. When an alkali metal is dissolved in ammonia, for example, the valence electrons are released into the solution, giving a deep blue colour when dilute and a bronze colour when more concentrated. These 'solvated' electrons are relatively stable, because each one is surrounded by an envelope of ammonia molecules. Hideo Hosono and colleagues from the Tokyo Institute of Technology have now shown that an equivalent phenomenon can turn mayenite (12CaO.7Al2O3) - a metal oxide and a component of alumina cement - from being a stalwart insulator into a metallic conductor. Hosono's group performs the feat at high temperatures, reducing the mayenite with titanium. This partially replaces some of the oxide ions in the mayenite lattice with solvated electrons, which become trapped in a 'cage' of atoms. With these solvated electrons, the mayenite goes from transparent and colourless to dark brown. In the molten state, the mayenite exhibits metallic conduction five orders of magnitude higher than usual. In the solid, glassy state, the mayenite is less conducting, like a semiconductor. 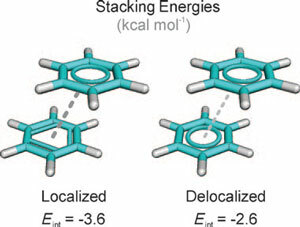 Here, Hosono's group believes the caged electrons pair up into correlated spin states. James Dye, an expert in solvated electrons at Michigan State University in the US who has been following the work of Hosono and his team, calls it an 'exciting extension' to their previous study in 2003, when they first reported that electrons could be doped into mayenite. 'The clear evidence for metallic properties and for electron pairing is remarkable and opens the door for a number of studies of electron-electron interactions and electron-pair conductivity,' Dye says. Hosono thinks development of materials with solvated electrons such as mayenite could lead to new, glassy semiconductors. His group now plans to analyse the mayenite structure further to see how electrons move through it. 'We may realise stable solvated electrons in various systems and temperatures by utilising a suitable nanostructure,' he says. Trace elements found in over 100 million-year-old fossil samples have helped to uncover the colourful past of some prehistoric species, according to an international collaboration of scientists. The findings show a remarkable relationship between copper residues and pigment within preserved feathers and soft tissue. Tyrosinase, a copper containing enzyme, converts tyrosine to melanin - a brown/black pigment found in most organisms that dictates characteristics like hair and skin colour. The team led by Roy Wogelius, a geochemist from the University of Manchester, in the UK, found that trace elements, such as copper, were present as organometallic compounds in the soft tissue regions of ancient bird, fish and squid fossils following analysis using synchrotron rapid scanning x-ray fluorescence (SRS-XRF) - electromagnetic radiation that probes and identifies the chemical structure of matter at very low concentrations. The team conclude that the trace elements are most likely derived from original eumelanin - the most common form of melanin. 'What we have done is nail down the chemistry of eumelanin pigmentation which is the fundamental giver of colour in the animal world,' says Wogelius. 'What we see is the presence or absence of eumelanin. By mapping the trace metals you can see that the downy body feathers, the neck feathers and the long tail feathers of the Confuciusornis sanctus [the oldest beaked bird found yet] were full of eumelanin pigment. So we know that the body and tail of that organism had to be dark in colour,' he adds. Wogelius explains that SRS-XRF can resolve very low concentrations of chemical structures very quickly. As the synchrotron x-rays are a million times brighter than the x-rays produced in a standard laboratory machine, the researchers were able to reveal original patterning on feathers. 'You can also scan the whole specimen, rather than small pieces,' he says. This means that the valuable fossils weren't destroyed in the analysis. To confirm the link between the eumelanin residues in the fossil samples and present day organisms, Wogelius and his team compared the infrared spectra of each and found they were exactly the same. 'It is pretty compelling chemical evidence,' he tells Chemistry World. 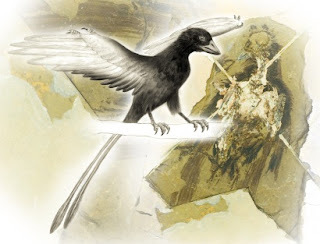 'It is further tentative confirmation of earlier work suggesting that there are traces of evidence from original colour preserved in bird and dinosaur feathers,' says Mike Benton, a vertebrate palaeontologist from the University of Bristol, UK. 'The authors are clear that the concentrations could be pre- or post-mortem, but the close matching of ions with feather structure, even at high magnification, and the absence of these elements in the surrounding sediment suggest that they may be right and that some very minute chemical traces of the original biochemistry of the feather pigments are preserved,' he adds.